We visited a Japanese Restaurant in Uptown PJ, Umai-ya. 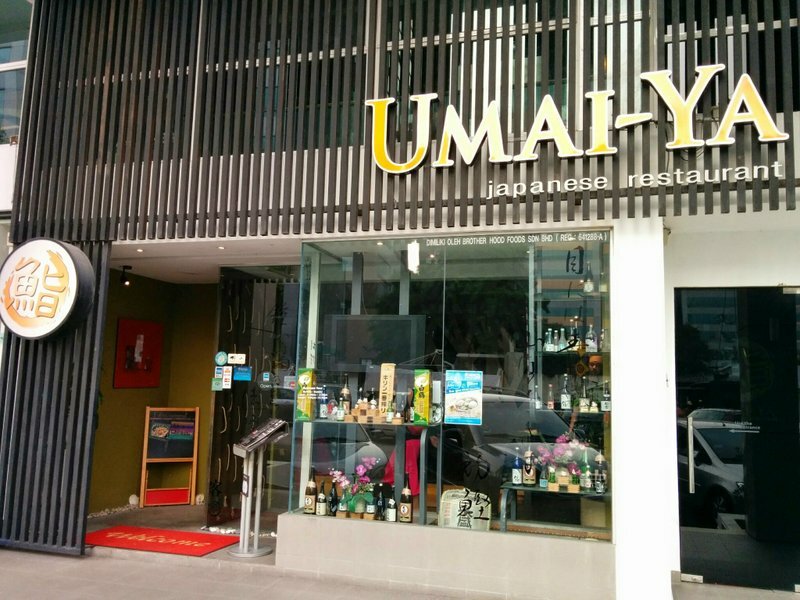 Umai-ya is located the same row as HSBC, just next to Starbucks Coffee and opposite Uptown 2 block. A nice Japanese restaurant with very good selection of tasty Japanese food at a reasonable price. The restaurant has a nice interior design. They are considerate to cater to customers who would like to experience the Japanese dining, sitting on mats and also to customers who prefer western dining style sitting on chairs. In terms of food, they have a lunch set offer. However, for dinner it is based on a la carte orders. We found the menu selection to provide a good variety of food. The portions were rather generous and the food tasty. We also didn’t have to wait too long for food to be served and found the service of the staff to be polite and pleasant. This entry was posted in Food and tagged curry rice, Damansara Uptown, Japanese Food, japanese style dining, maki, Petaling jaya, PJ Uptown, Restaurant, sushi, western style dining by Miss P. Bookmark the permalink.